We take pride in all of our cabinets and relish in the opportunity to install each warm and inviting kitchen. Some of our kitchens represent such an outstanding example of how a particular cabinet style flourishes in a home, though, that we feel compelled to share the project. This particular modern kitchen is no exception. This customer reached out to us through the website and let us know from the start that they had a good idea of what they wanted. They had been shopping around for about 3 months in order to find the right cabinets and countertops for their kitchen remodel. When they found our extensive selection of modern cabinet styles, they wanted to speak to a designer right away. One of our newer reps took their call and things got underway. 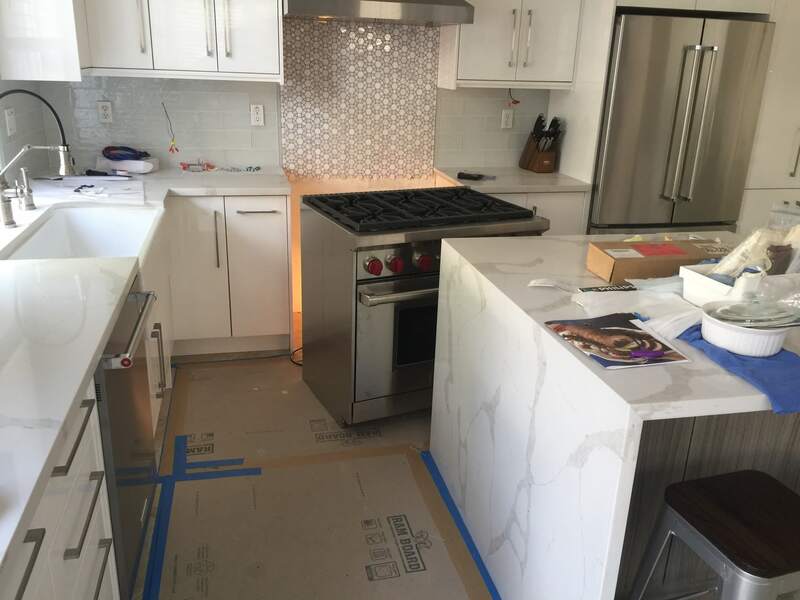 Remodels come in every flavor under the Sun, from setting up a kitchen for a brand new home to major tweaks in an existing kitchen space. 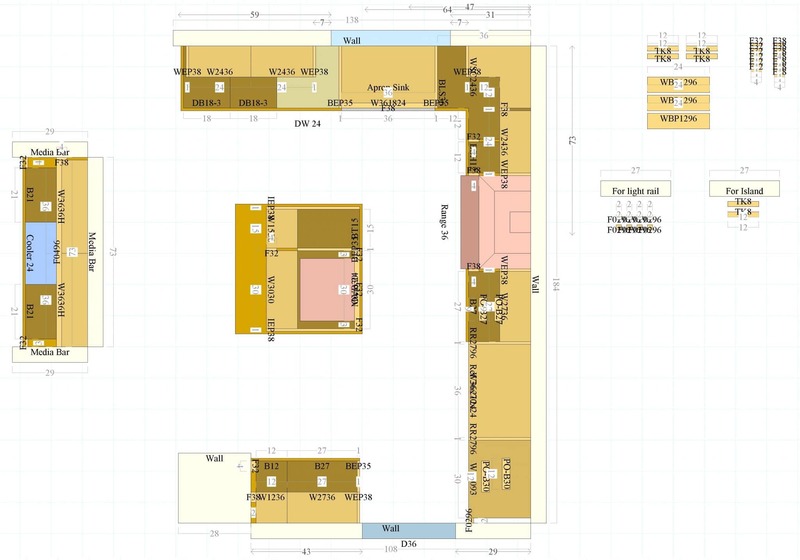 No matter the situation, you need visual designers who understand spatial layouts, your needs, and can work within very limited time frames without breaking a sweat. Fortunately, this is second nature for our team. 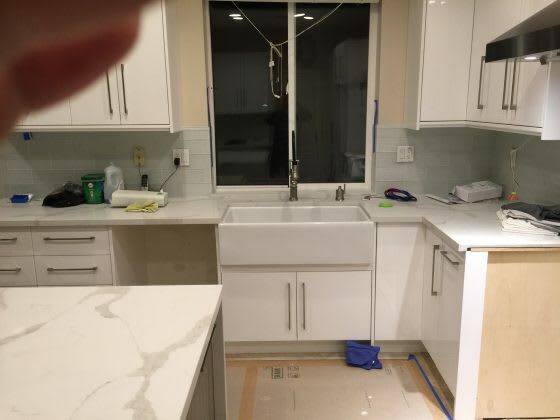 In this particular remodel, the customer wanted to work within a limited framework of design options in order to keep consistent with their current aesthetic, but knew what cabinets they desired. This entails a significant amount of rigorous math and double checked calculations in order to get everything to fit beautifully. Keeping a keen eye on the existing look of the home while developing a fresh appeal for the kitchen is no simple task. Our representative RB worked closely with the homeowner from the beginning of the project through to finish. That’s part of what differentiates Best Online Cabinets–the person with whom you speak is also the expert managing your design specs. Without a middle man in the way, you can be confident that there is no game of telephone going on with your remodel budget on the line. We don’t allow extra confusions to jeopardize your new kitchen. The kitchen is the most utilized room in your house, and deserves the greatest degree of function and beauty. Every bit of space matters, and in a social kitchen the pearlescent gloss finish exudes a quiet tone of levity and celebration. 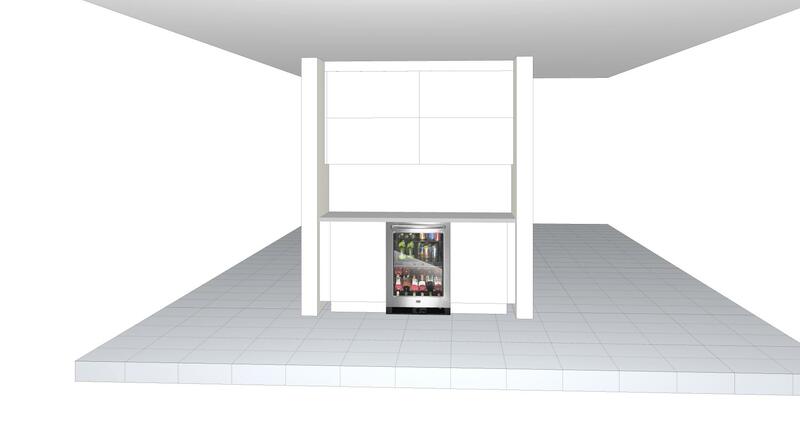 A modern design with beautiful white flat panels strikes a perfect balance between practical and stylish. 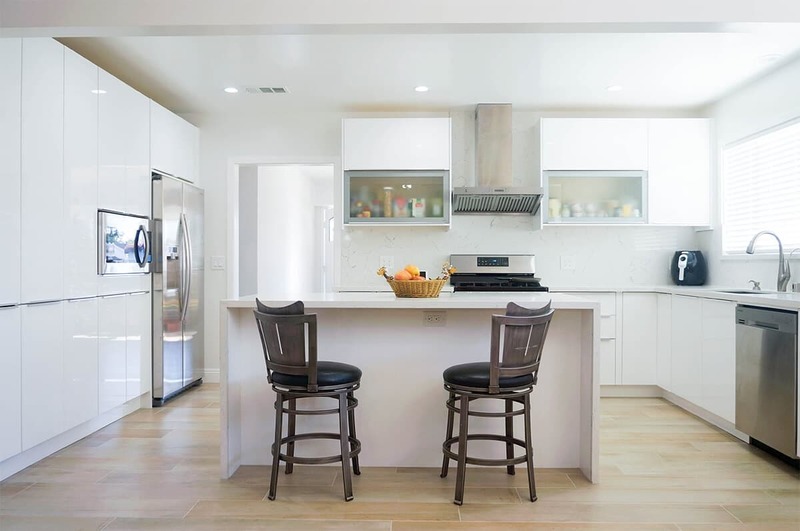 This San Diego kitchen had less space than a more open floor plan, making it an ideal candidate for the more spartan surfaces of European style cabinetry. Without embellishment typical of American style options, the homeowners can enjoy additional welcome mobility from this sleek white design. In addition to the functional benefits, frameless design delivers a fully seamless appearance to the kitchen. It allows the storage to become a backdrop to what matters: cooking phenomenal food. European style eschews the hallmark extras of traditional cabinets to produce an excellent minimalist aesthetic in the space. The white glossy finish is sensible yet understated, allowing even simple stainless steel fixtures to stand out dramatically. 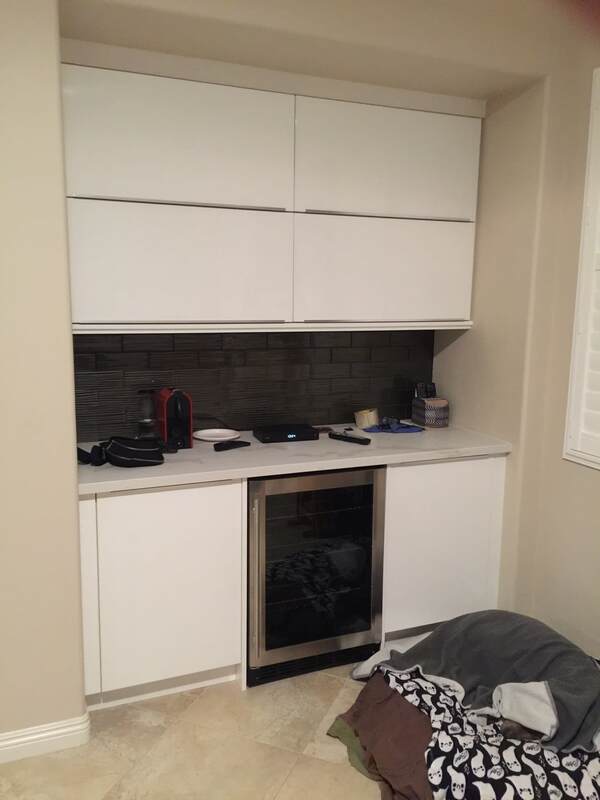 Finally, the homeowners knew that they wanted cabinets that would withstand day-to-day wear and tear and provide value for years to come. 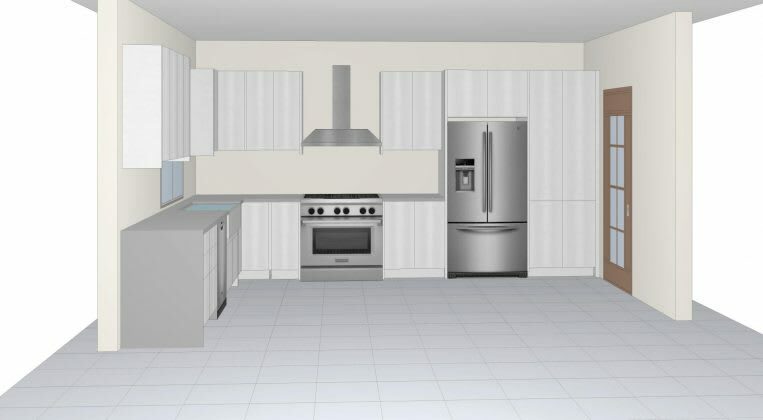 Our white gloss ready to assemble cabinets provide exactly the durability and reliable construction to make their kitchen remodel a great investment. 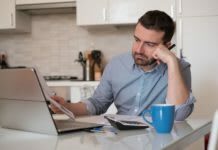 While remodeling a kitchen can sometimes veer into stressful territory as the expenses add up, cabinets traditionally contribute a sizeable amount of the overall expense. 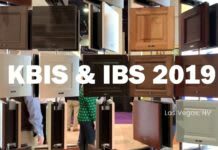 This can tend to deter homeowners from believing that they have many options when it comes to new cabinetry; an unfortunate falsehood we aim to correct. If you’re remodeling a home in order to immediately flip it for improved value, the kitchen should be the bedrock focus of any upgrades. New cabinets are a surefire way of dramatically improving the value for a fresh property sale after your remodeling project. Additionally, it serves you well to plan ahead for a sale even if you intend to enjoy your new cabinets for years to come. 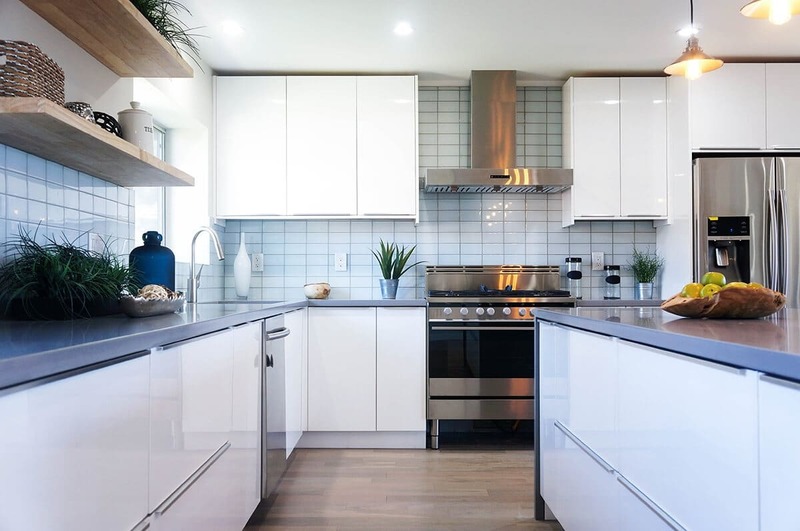 Your dream kitchen can still provide you significant extra value ten, twenty, or thirty years down the line with the right cabinet selections. Getting the most out of your investment feels great, particularly when you are able to enjoy the fruits and know the next owner will as well. 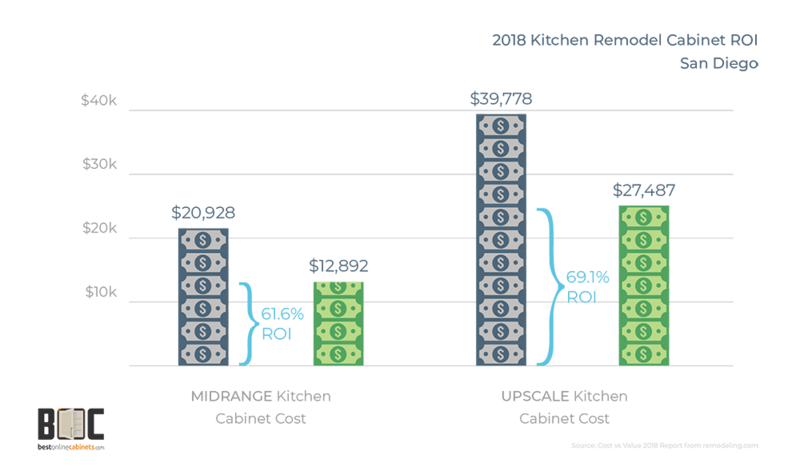 If there is one takeaway from reading this case study, it should be the importance of cabinets in your budget calculations for your kitchen remodel. 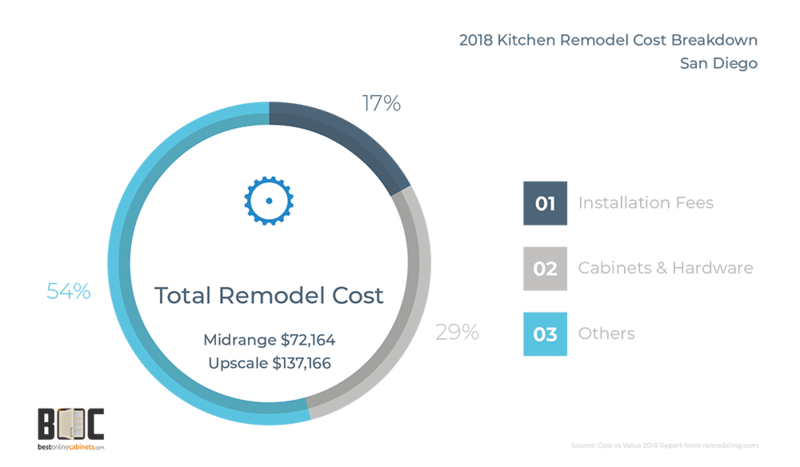 Using the Cost vs Value Report for 2018 for the San Diego area, we compiled numbers on common remodels for midrange and upscale cabinet replacements. 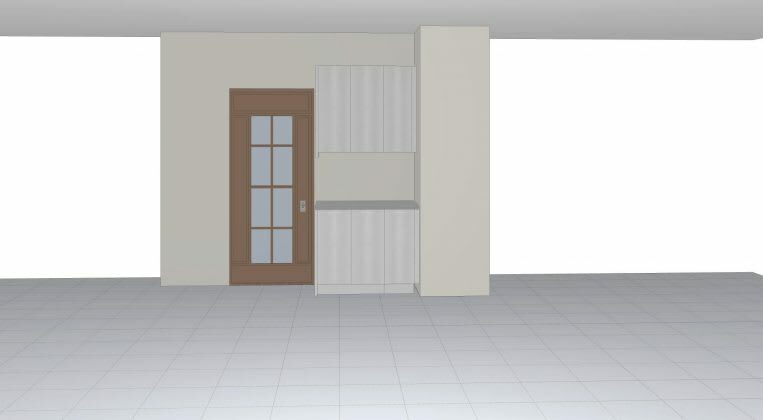 The sample scenarios used in the report are comprised of 200-square-foot kitchens. Based on the 2018 numbers, San Diego residents should on average anticipate a return on investment (ROI) of 61.6% and 69.1%, respectively, for midrange and upscale kitchen projects. 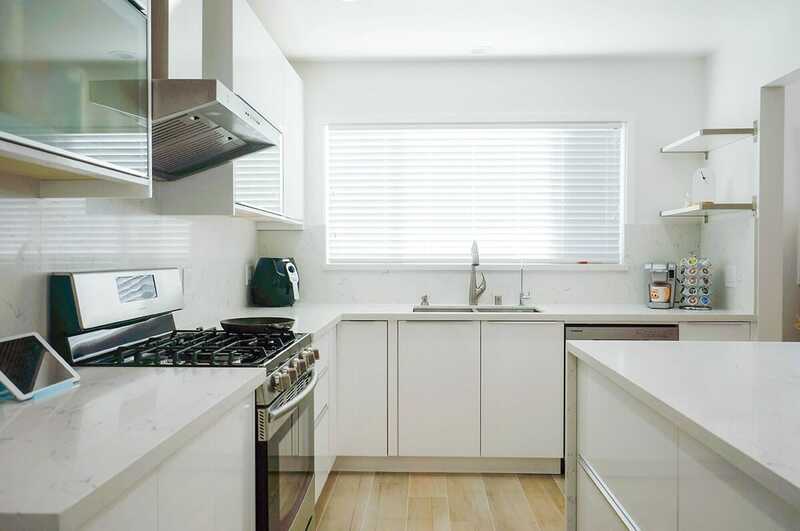 The data shows that even after years of enjoying their cabinets from the kitchen upgrade they wanted, these San Diego homeowners get to recoup well over half of their investment costs if they intend to sell. 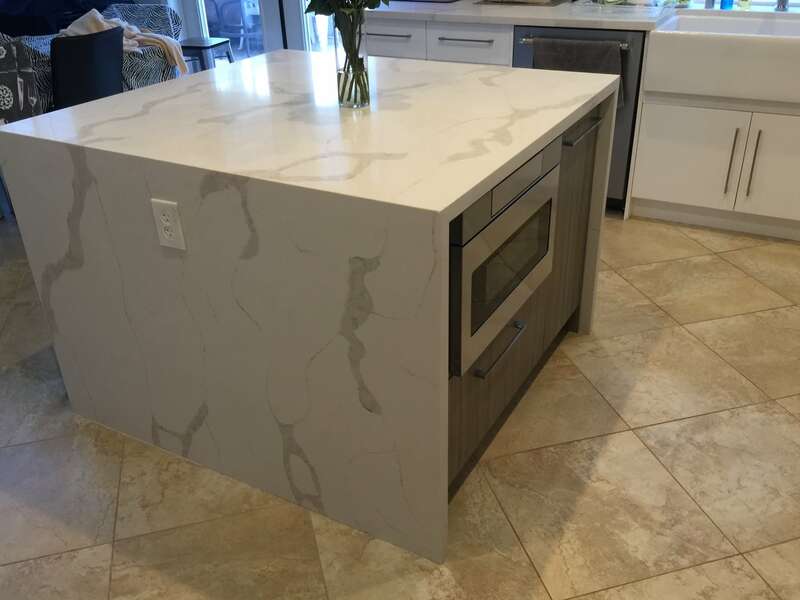 And on top of these values taken from an aggregate of homeowners, they saved more by going with ready to assemble cabinets from our reputable online cabinet store. *In addition to all of the available savings when you buy ready to assemble kitchen cabinets, we accept PayPal credit. When you finance, you can check out with no payments and no interest so long as your order is paid in full within 6 months. After checking out a sample panel of the piano paint high gloss, the customer was confident in their modern European cabinet selection. 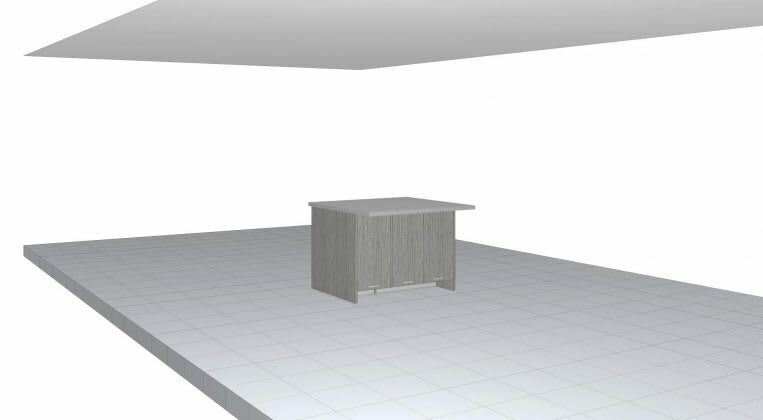 RB set to work fashioning a design for their kitchen that included a main cooking area, center island, as well as a remote wine rack with counter. He knew that they wanted a countertop which complemented the bold white while accenting the area; an alabaster marble perfectly segued into the rich floor tiles. This was no small project, but the customer loved the final layout. The final kitchen photos above say it all: we love our work. 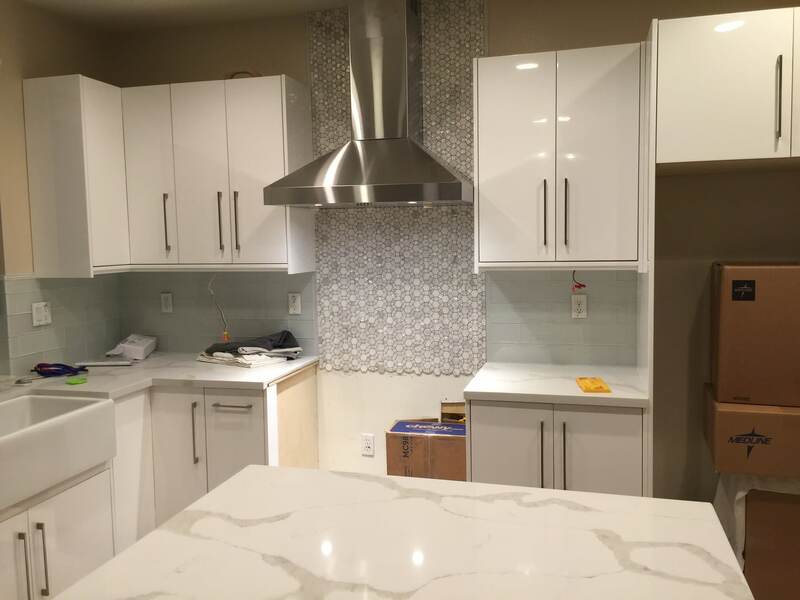 We want to be the reason your next kitchen remodel is completed on schedule, under budget, and looking better than you hoped. You’ll know we’re as invested as you in bringing your dream kitchen to life. 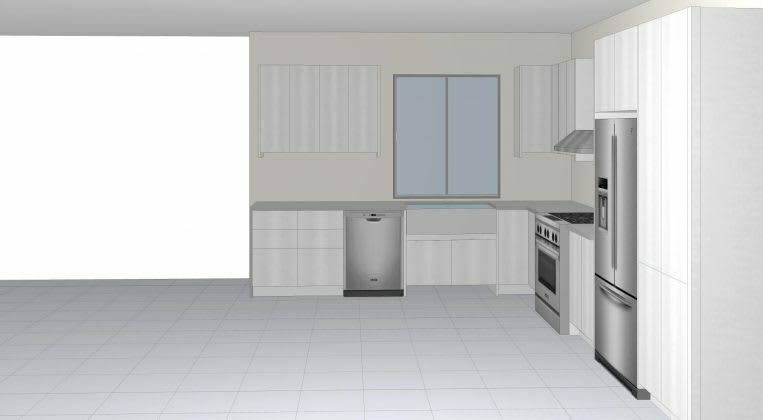 Interested in modernizing your own kitchen with some beautiful high gloss white kitchen cabinets? 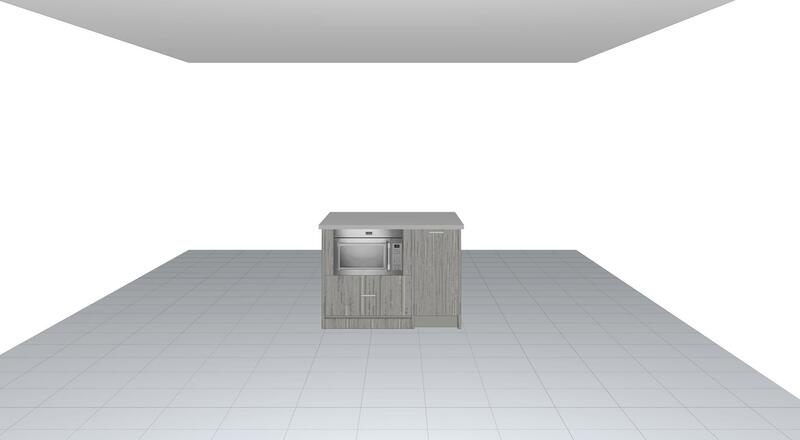 Check out our available selection of kitchen cabinets for sale online and call us today to begin designing with us free of charge! Don’t forget to check out our newest case study, Warmth & Neutrality Combined: Gray Kitchen Cabinets.